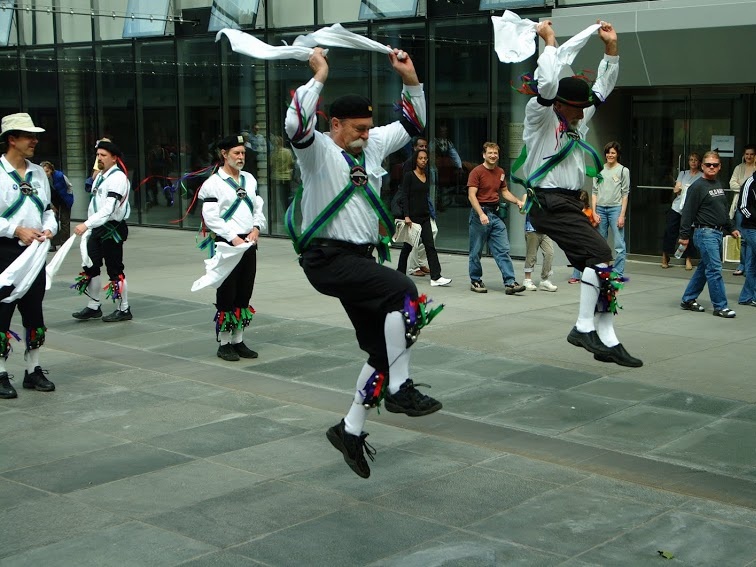 Morris dancers have celebrated the seasons for hundreds of years in England with music dance, songs and plays. Decked out in ribbons and bells they performed athletic dances with handkerchiefs and sticks to encourage good fortune and fertility for the coming season. 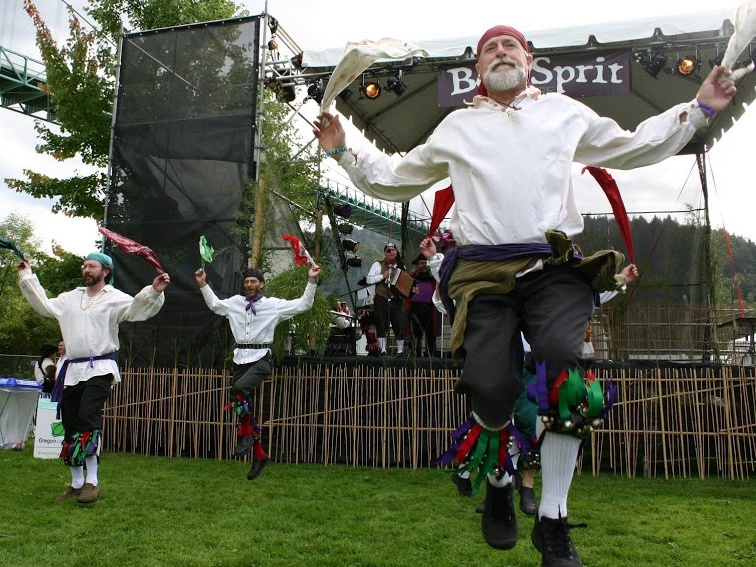 The Bridgetown Morris Men keep this age-old tradition alive in Portland. 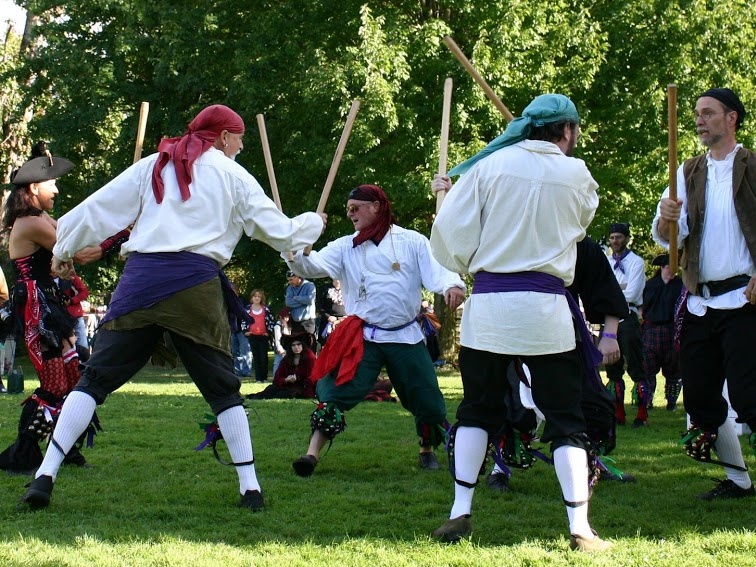 Our shows are an energetic mix of traditional dances, music, songs and ancient plays. 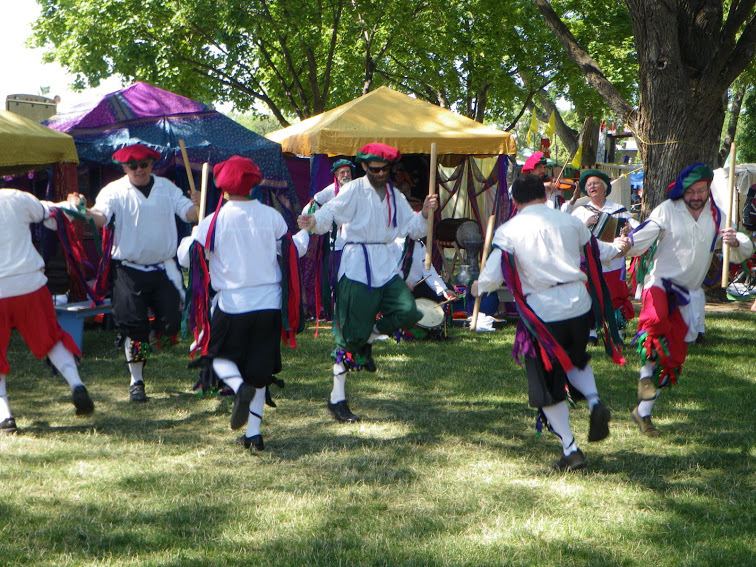 Keep an eye out for us, you'll see us dancing around Portland at various events throughout the year. 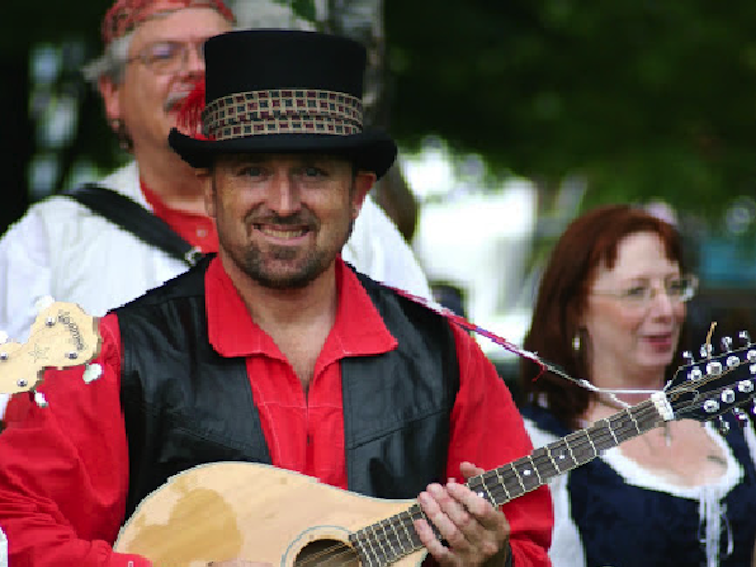 In a normal week, we practice at 7 o'clock every Wednesday at the Portland Waldorf School in Milwaukie followed by singing at a local pub. 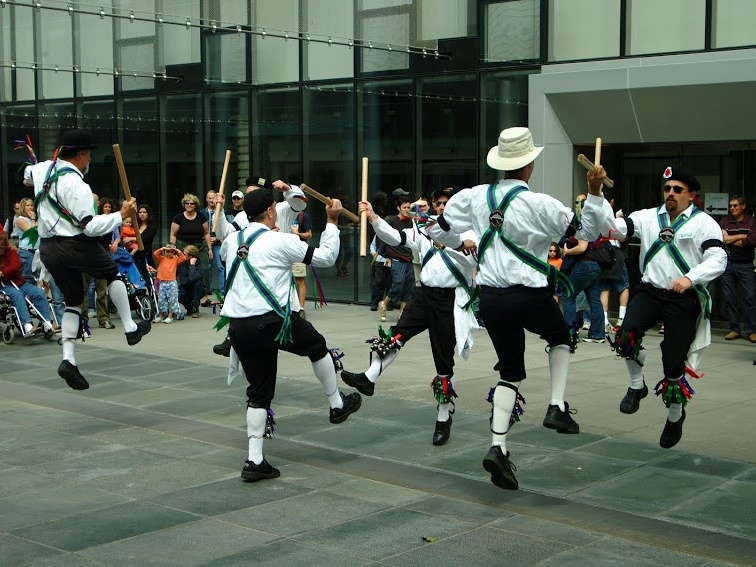 Being morris dancers, however, normal is not our strong suit. Some weeks, especially in the summer, we dance out in various Portland neighborhoods instead. To be sure of where we are, follow us on Twitter or check the feed below.If you think your neighborhood would be a good place for us to visit, drop us a note. If you are a pub that would like to have some live traditional singing on Wednesdays, we would like to find a new permanent home. If you want to give dancing a try, beginners are always welcome.